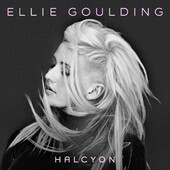 Ellie Goulding recently premiered her video for the beautiful "Figure 8" cut off her Halycon album. Clearly, the timing couldn't be more ironic. The video follows her recent split from highly acclaimed dubstep producer Skrillex, though the song was recorded well before the breakup. Draped in a blood-red veil, Ellie sings about love lost and heartbreak while occasionally smashing dishes in a rundown apartment. Writhing around erratically on her bed, the English songstress perfectly matches heavy dubstep influences with her movements. "Figure 8" serves as the follow up single to "Anything Could Happen." Check out the video below. Ellie Goulding · Polydor Ltd.